If there is one thing we can say about small tattoos is that they are faster to do, cheaper to get done and are of course a lot less painful. 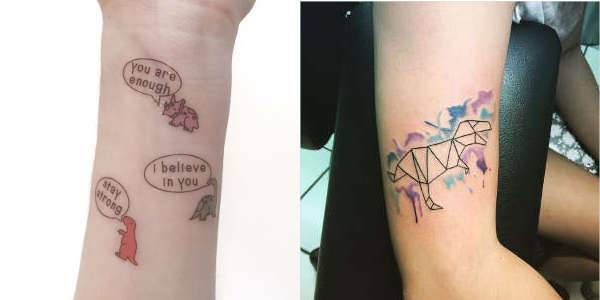 If you have been swayed away by the minimalist trend and are planning to get inked with something that is sweet and innocent, then small animal tattoos are cute and not so weird choice for a tattoo design. Look below for the ten designs that will serve as a perfect inspiration for your next tattoo. 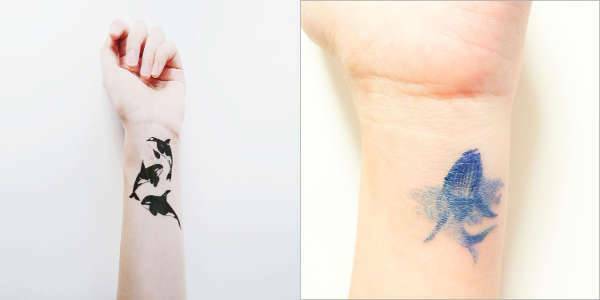 Even though they may be extinct, they still serve as one of the cutest choices for an animal tattoo on your arm or on the ankle. Just go with a simple curvy outlined figure and rawr your style with elegance. Let us just begin by saying a big aww wwwww. 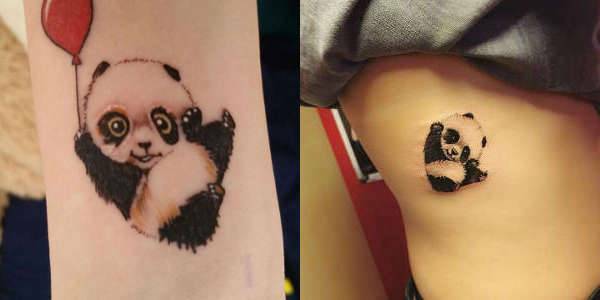 Small pandas are by far the cutest animal shape and design you can get inked with. Try the design on the inside of your wrist or the side of the palm. 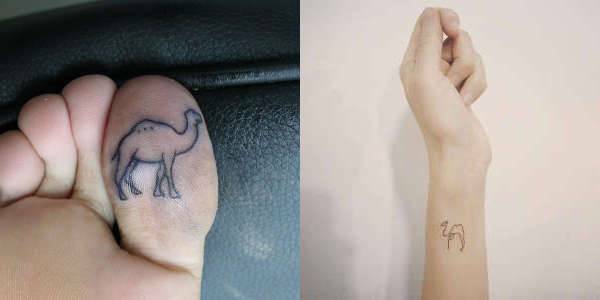 Even though they are big in size, a little camel outlined and filled neatly with black ink make a perfect design for a tattoo on the toe. Get the design inked near the nail for giving your thumb peeking out of peep toes and flip flops just the needed quirky twist. An elephant holds many meanings and even though the loving and meaningful pachyderm may be small but it never forgets. Try the tattoo on your forearm with just a thin and sleek outline of the figure. We agree that tigers are fierce, feisty and majestic, but a tiny tiger with intricate detailing and shade work can give your design just the needed husky quality. You can get the design inked on the back of your neck or try it near your tailbone. Do we even need to explain the symbolism of the beautiful hummingbird? 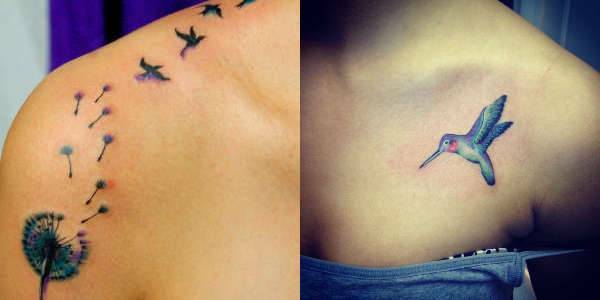 The tiny hummingbird with its wings spread in its full glory can be one of the excellent choices to get inked on the shoulders, near your collarbone. 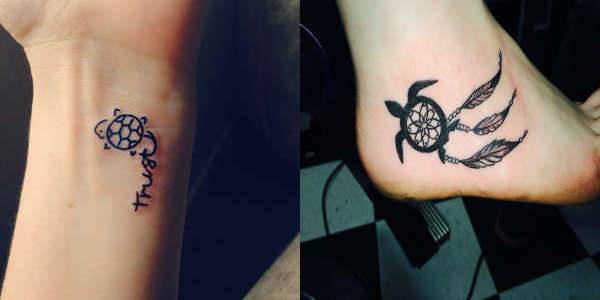 Turtles can serve as a beautiful design to try on the ankle or the arm. Try detailing the turtle with some bubbles and patterns on the shell. Tiny whale with its extend fins and tails can be the cutest aquatic creature to have on your wrist. The design looks especially cute post shower, with tiny drops of water dripping down the design. 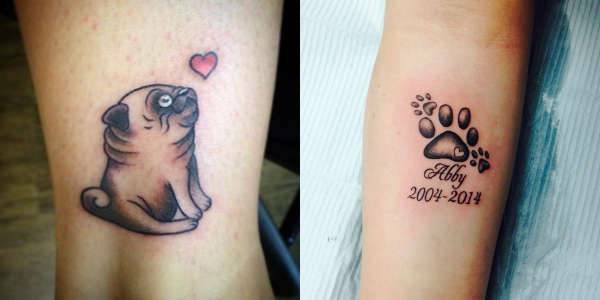 If we are talking about cute tattoo and animals, a small pup tattoo is inescapable. You can pick the design as per your preference of the breed or choose your lovely pet as your inspiration. 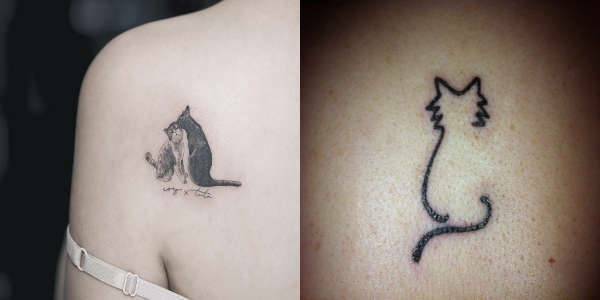 A mix of two in one, the tiny peeking cat can serve as a minimalist and cute tattoo as well as a reflection of a 24/7 game of hide-and-seek. Choose the design that best reflects your personality and enjoy a hassle free inking session.